"We curved around the bend in the path and B motioned for us to take a detour. "Do you remember this bench?" I replied that I didn't. 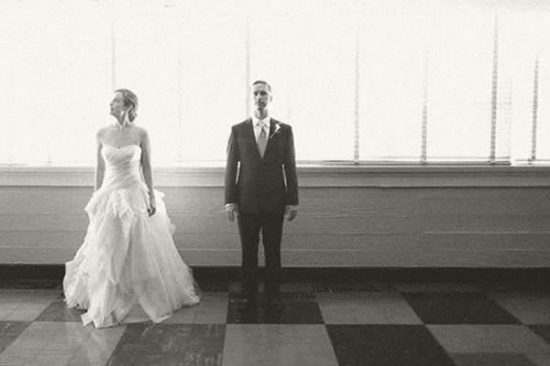 He explained that it was the first place I took him on the day after we started dating." 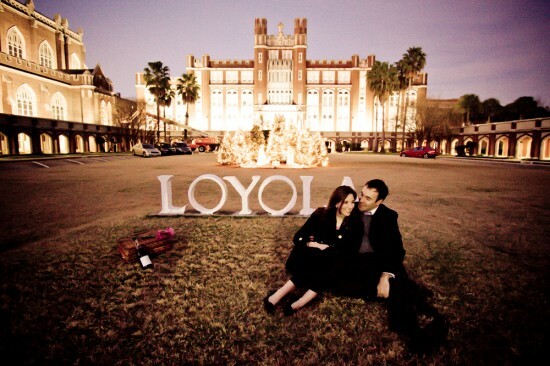 "He knew that I loved the park, especially the view over looking the pond with Loyola in the background. After chatting for a few minutes, he reached into his coat pocket, pulled out a square box, and got down on one knee. "Will you be my bride?" Immediately, I said "yes" and kissed him. It was totally peaceful and I just ate up every detail of the moment. " A few hours later, the newly engaged couple were back at their bench for an e-session, with Amy Jett taking photos to recapture the moment forever, this time with a picnic in a basket, champagne and some flowers. 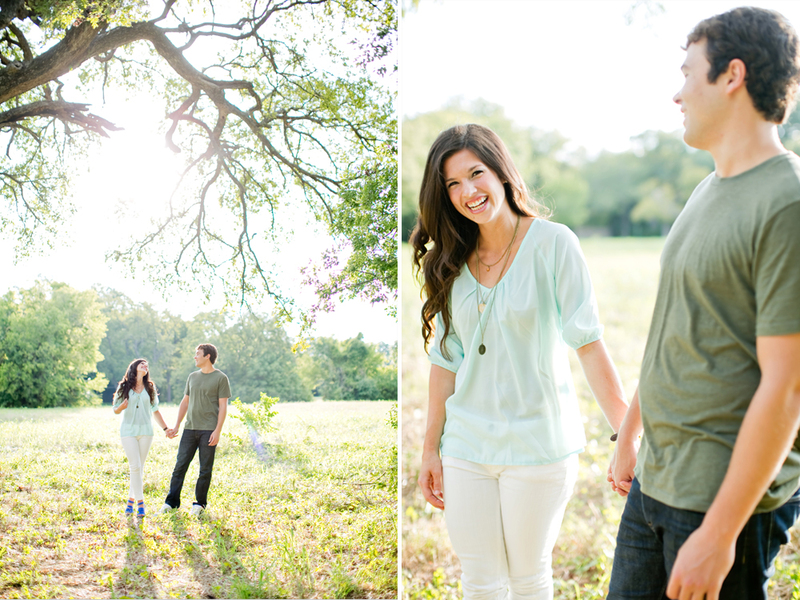 Check out more of Katie & Barry's e-session here!